Liquibello for Temps above Elastomer Capablility. Typical "Blo" series High & Low Temp. 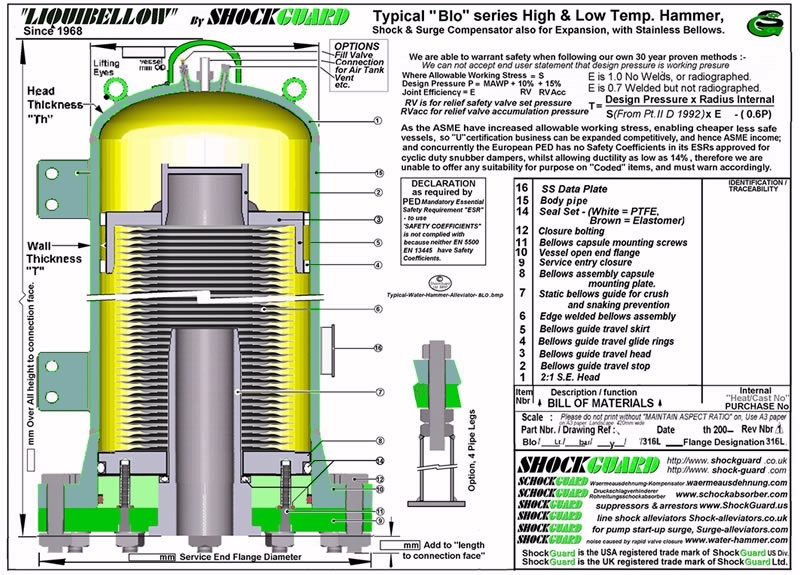 Hammer, Shock & Surge Compensator also for Expansion, with Stainless Bellows.